Labor: Who’s going to do the work? 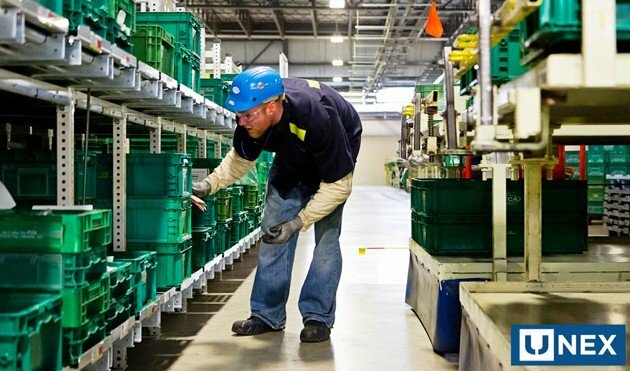 The boom in e-commerce is fueling the need for more – and more qualified – warehouse workers, especially in picking and packing operations. But even at about $15 per hour, the industry average, warehouse labor is difficult to attract and even harder to retain. Fulfillment is an intense, demanding job that requires technical skills that most of the labor pool does not possess. At the same time, the increasingly complex warehouse environment demands flexibility across job functions. Turnover is high and onboarding is expensive. In a growing economy with low unemployment, will you be able to find, recruit, train and retain the volume of qualified workers you need to staff your operations? Will ARC (autonomous mobile robots) morph into RaaS (Robot as a Service)? Will blockchain applications merge with RFID, IoT, cloud capabilities, and other mainstream technologies to build trusting supply chain relationships through transparency and traceability? Will AI – including iterations such as chatbots, autonomous vehicles, collaborative robots, and virtual reality motion controllers – be able to incorporate sensory abilities and deep learning techniques to tackle real-world challenges? These futuristic advances are not far in the future. Since 2015, Amazon has hosted an annual robotic picking challenge “to develop robotics hardware and software that can recognize objects, grasp them, and move them from place to place,” says IEEE Spectrum, which a team from the Australian Centre for Robotic Vision at Queensland University of Technology won in 2017 for its custom Cartesian robot named Cartman. The world’s largest retailer is putting its resources into creating “a smarter, faster, more consistent customer experience….” Shouldn’t you be doing the same? When it is delivered on time and to the correct location? Was order placement seamless and confirmation timely? Was tracking data communicated clearly and correctly? Was the order delivered in full in a single shipment? Is the return process easy? Is reimbursement fast and credited accurately? How much did it cost to fulfill the order? Was expedited shipping or handling required? Was adequate inventory available and accessible? Was excess inventory on hand? Were there delays in transit? Were profit margins met and maintained? The balance between performance and profitability is increasingly delicate and precarious. What steps are you taking to align expectations with reality at every stage of fulfillment? So, what’s on your radar for 2018? What material handling challenges do you foresee and how do you plan to contend with them? What will perfection look like in your operation?